How much does a good ukulele cost? As you can probably guess, there’s not a simple answer. Ukulele prices can vary wildly depending on factors like brand, materials, build quality, and more. ​That’s why I think it’s helpful to break ukulele prices into a handful of different price ranges. These ranges will give you a general idea of what you can expect based on your budget, but they’re just guidelines and won’t apply to every uke on the market. 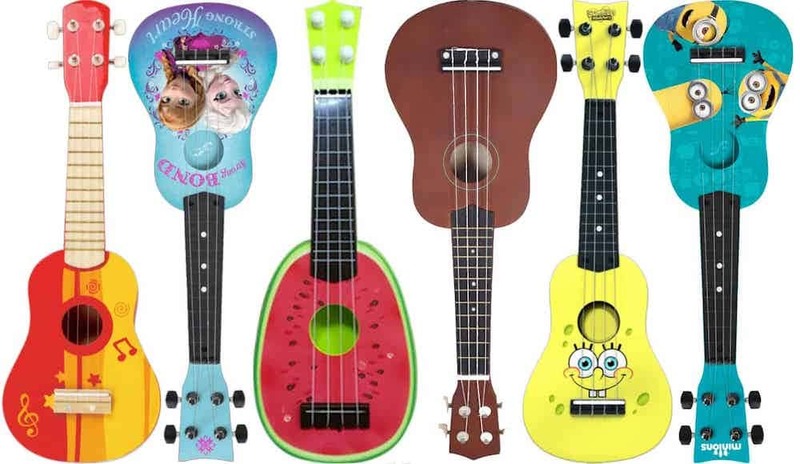 For under $35 you’ll find a range of toy-grade ukuleles. These instruments are often made out of plastic or extremely cheap laminated wood. Ukes in this price range are almost always very poorly built. While some can sort of function as actual instruments, many are nearly unplayable right out of the box. People often buy these as a way to “test the waters” before investing in a nicer instrument. I understand this logic, but it’s important to keep in mind that starting out on a low-quality can be frustrating and discouraging. It’s almost always worth spending a little more to get a better first instrument. This category also includes most ukes featuring characters from cartoons and movies. These ukes can often cost a lot more than other cheap ukes, but their poor quality still puts them in the “toy” category. While I can’t exactly recommend any uke in the cheap/toy price range, these models are some of the safest choices in this category. The budget ukulele price range can be a little tricky. There are some truly great ukes in this category, but there’s a lot of junk as well. I make a few suggestions below, but as a general rule I’d recommend sticking to the upper end of this price range. 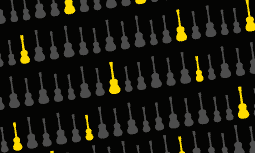 Mass-produced ukes in this price range tend to be fairly consistent, but there’s always going to be some variation in build quality and playability. Budget ukes are fine to start with, but many players will eventually want to upgrade as they improve their playing. Before purchasing a uke in this price range, ask yourself if you’re OK with buying another uke in the future as you get better. I discuss the models above in more depth in my article on the best budget ukuleles. For many people, this price range is the sweet spot. Most ukes in the “beginner” category offer an ideal combination of affordability and quality. This makes them a natural choice for new players, but many intermediate and advanced players are also perfectly happy with ukes in this range. This section is just a quick overview of beginner ukuleles. For more information on this topic, see my article on the best beginner ukuleles. The massive selection of ukuleles in the beginner price range means it’s impossible to offer a one-size-fits-all assessment. On the more affordable side of the spectrum, you’ll find an assortment of simple, high-quality ukes that make great starter instruments. As you move up in price, you’ll see ukes with features like exotic tonewoods, fancy inlays, and electronics. These options don’t normally improve the sound or playability of the uke and are often just cosmetic. The exception is a solid top, which can offer improved tone and volume. This price range covers a lot of territory, so I’ve broken it down further into a few sub-categories. Note that some ukes will fall into more than one of these sub-categories. Many mid-level ukes are just fancy beginner ukuleles. These ukes are similar in quality to what you’ll find in the beginner price range except for their upgraded looks. 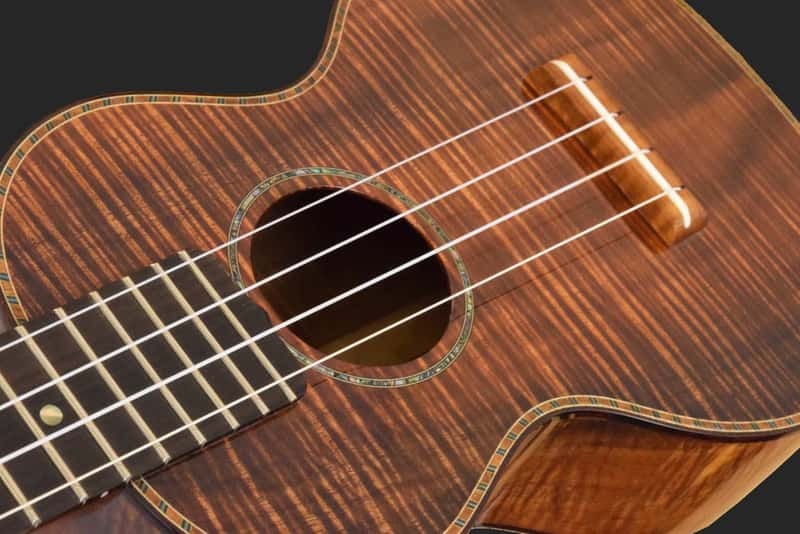 There’s nothing wrong with paying a little extra for a uke with some unique cosmetic upgrades, but just remember that these nice-looking extras won’t make the uke sound or play any better. Acoustic-electric ukuleles are nice to have if you want to perform through an amplifier or record using your computer or other hardware. A cutaway will allow you to more easily access the higher frets, which is helpful for playing intricate melodies or solos. The cutaway isn’t something most beginner players will need, but it may be useful down the road (and it looks kind of cool). The mid-level price range includes a handful of ukes made entirely out of solid wood. Solid wood resonates more freely than the laminated wood (plywood) found on most cheaper ukuleles. In theory, a solid wood ukulele will typically have more warmth, bass, and volume than a similar laminated wood uke. In reality, I’ve played solid wood ukuleles in this price range that didn’t sound any better than a good quality laminated ukulele. I’m not saying you shouldn’t buy one, but it’s important to do your homework–and don’t be afraid to return it if it doesn’t sound great! These aren’t so much recommendations as they are examples of the kind of uke you’ll see in this price range. At the top of the pile, we find high quality ukuleles from established U.S. companies like Kamaka and Martin. Martin’s line of solid koa ukes range from around $500 for their basic C1K and T1K and go up to nearly $2000. Hawaiian-made Kamaka ukes start at around $900 for the most basic Kamaka soprano (the HF-1) and go up from there. Factors like wood grade, body size, finish, and ornamentation can dramatically increase the price. ​If you’ve got a budget of around $500, you should really take a look at Martin’s C1K and T1K. These ukes are simple, but the craftsmanship is top notch and they sound wonderful. For more read my full review of the C1K and T1K. The Kala Elite USA Series is a relative newcomer to the high-end scene, but I’ve played several of these ukes and they’ve been great instruments for the money. Made in the USA, the Elite’s build quality rivals what you’d find with the more expensive brands, and the tone and playability have been very good. The Elite series is definitely worth a look if you want a quality US-made uke at a more reasonable price. In addition to the larger manufacturers mentioned above, there are also a number of small, independent builders who fall into this category. Their production is much lower than the large manufacturers but their ukes are frequently one-off custom pieces. These ukes can easily run $2000 and up. The image below is a Palm Tree Ukulele, made by a one-man operation in Colorado. ​Chuck Moore of Moore Bettah Ukuleles and Michael DeSilva of DeSilva Ukulele Co. are two other great examples independent builders who make stunning high-end ukes. Many individual builders will allow you to customize some or all of a ukulele’s design. Going “full custom” isn’t cheap, but if you’ve got money to burn it’s a great way to get the ukulele of your dreams. I know it’s tempting to try to save a few bucks on your first ukulele, but this is often counterproductive. Cheap ukuleles are typically so bad that they aren’t fun to play. And if your uke isn’t fun to play, sticking with the instrument is going to be a lot harder. Martin's C1k and T1K ukes seem ideal for players ready looking to upgrade or beginners wanting a better beginner uke, but are they worth the extra money?